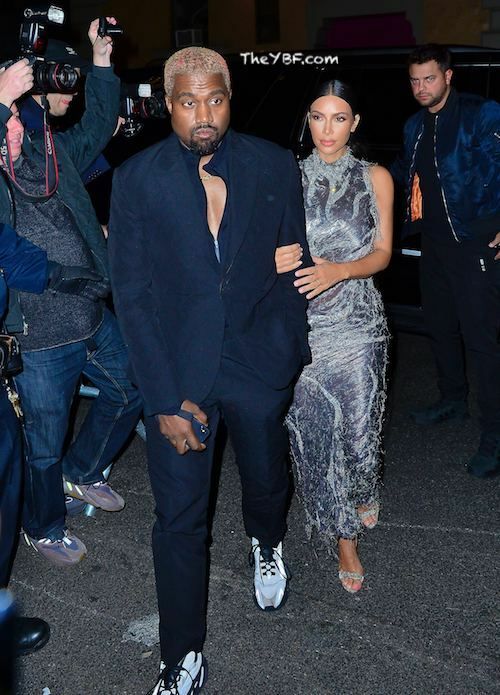 Kanye West and Kim Kardashian West decided to hit up opening night of the new musical 'The Cher Show' on Broadway last night in New York City. While Kim has made it known over the years Cher is her fashion/style/everything role model and she's her biggest fan, Kanye seemed to have other more pressing ish to do during the show. To be fair, Ye's a creative. So maybe he was taking notes on his phone throughout the show about things he loves. It wouldn't be the first time he borrowed an idea or two from someone else's show. Gotta love a passive aggressive exchange. On this week's episode of "Keeping Up With The Kardashians," Kanye speaks again. And he tells Kim why he thinks it's "important to the culture" for her to return to Paris for Virgil Abloh's LV Men's show. "I just think for the culture, for Kim K. to show up to the first black designer at Louis Vuitton's show who was the best man at my wedding, I just think that the world would really love to see you there," Kanye told her. Not sure why a white woman being seen at Virgil's show is so vital for the culture. Virgil's success itself is important to the culture all on its own. But ok 'Ye. For someone who has been so outspoken about not needing or receiving white people's co-sign to succeed in the fashion world, such an interesting statement.